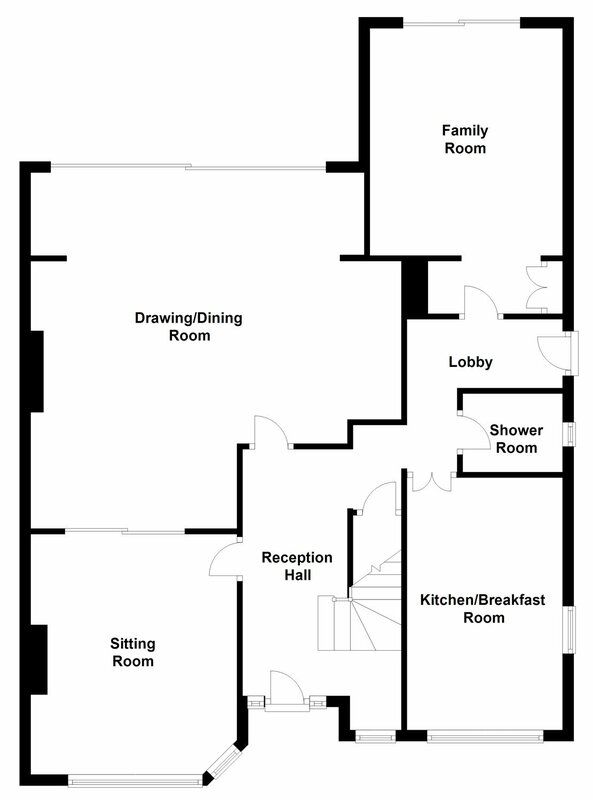 Floor area approximately 188 sq.m./2,023 sq.ft. 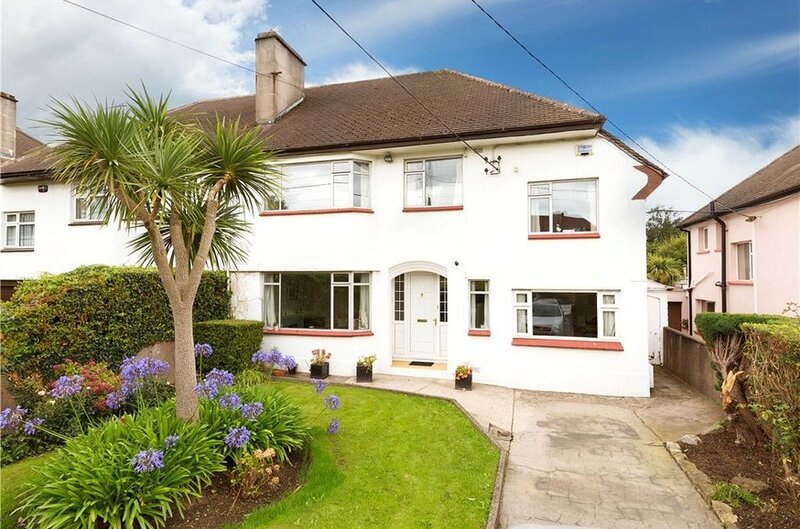 A most impressive five-bedroom double fronted family home ideally located on one of Mount Merrion’s premier roads enjoying generous accommodation (approx. 188 sq.m./2,023 sq.ft.) 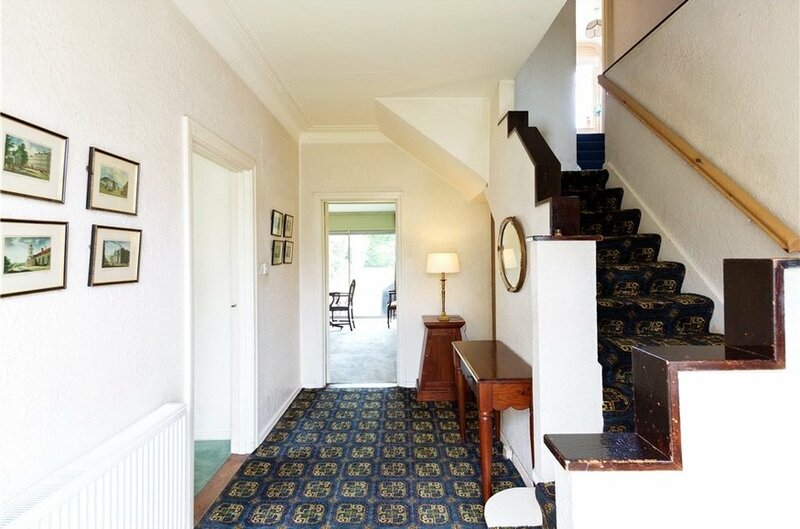 with much further potential and an extensive (34 m./111 ft.) private west-facing rear garden. 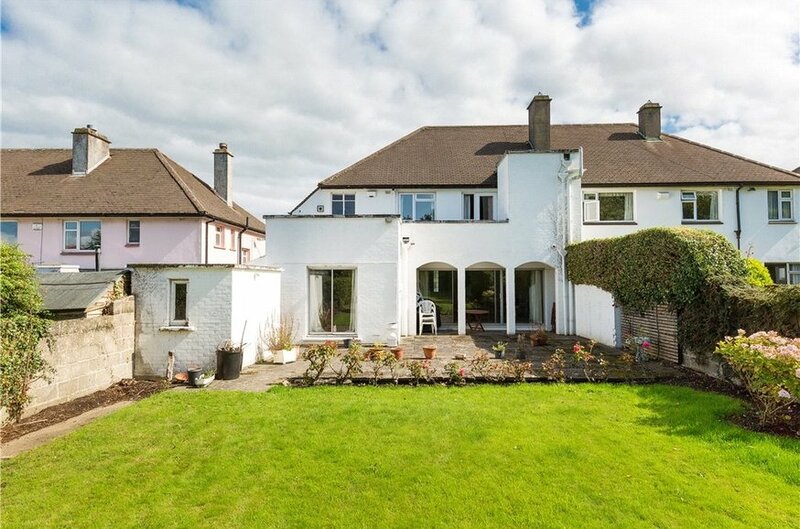 A most appealing 1950s-built family home enjoying more generous accommodation than many houses in Mount Merrion. The property has been well maintained and extended over the years and now awaits a new owner to use their creativity and flair to create a home that is truly their own. Presently extending to an impressive 188 sq.m./2,023 sq.ft., the accommodation briefly comprises sitting room, drawing/dining room, family room, kitchen/breakfast room, guest shower room, five bedrooms (one en suite), study and bathroom. 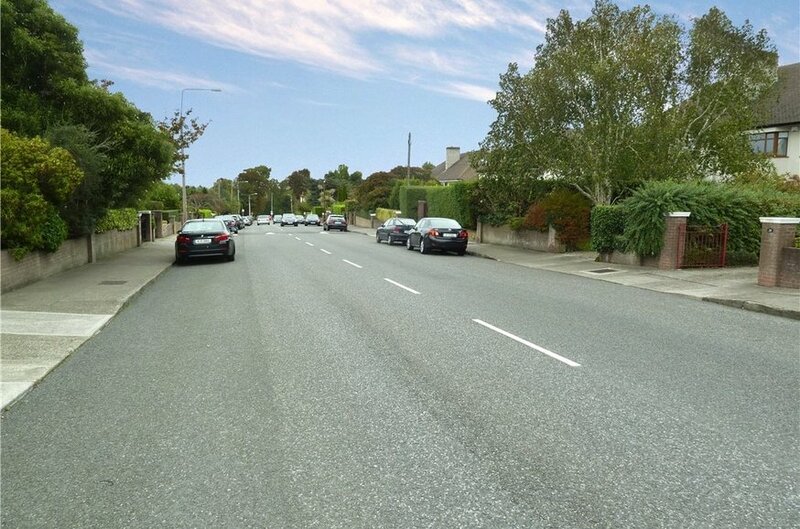 The Rise is a highly convenient and sought-after location in Mount Merrion adjacent to neighbourhood shops which are a focal point for Mount Merrion. There is also a vibrant community centre, churches, sporting facilities, university campus at Belfield and an excellent selection of some of the country’s best known schools close by. 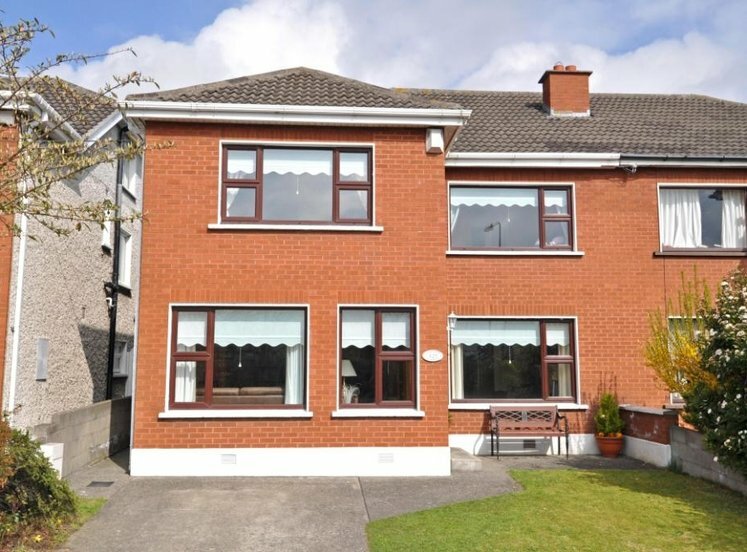 The property is also within a short walk to the Quality Bus Corridor on the N11 and major shopping centres in Stillorgan and Blackrock at the DART station at Booterstown is easily accessible. (maximum measurement) with sliding doors out to rear garden, Adams marble fireplace piece with Connemara marble inset and marble hearth. comprising shower, wc and whb. with fitted presses, louvre door, fitted cupboards, presses, drawers, small worktop, one bowl stainless steel sink drainer unit, space for free-standing double oven, plumbed for dishwasher and tiled splashback. 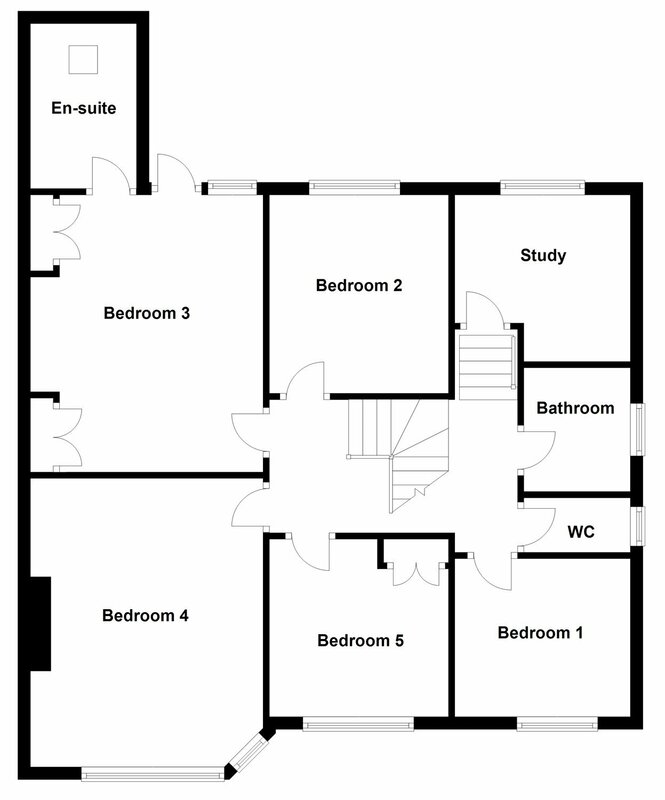 comprising step-in tiled shower, wc, vanity whb and chrome heated towel rail. The front garden is walled and hedged, laid out largely in lawn which is bordered by flower beds with mature shrubs, bushes and plants. 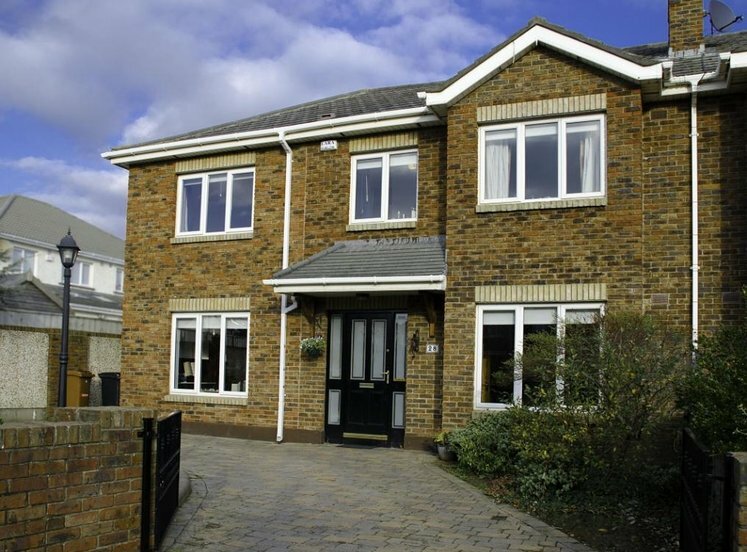 Driveway provides off-street car parking and to the right, there is a covered pedestrian access to the rear garden. 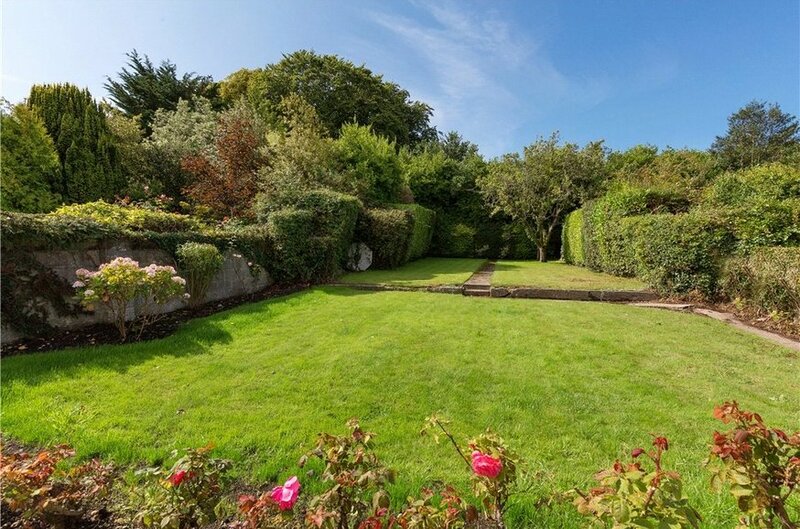 The west-facing rear garden is a particular feature of this fine home, extending to approximately 10m x 34m (32 ft x 111 ft), walled and hedged, laid out largely in lawn with flower beds with shrubs, bushes and rose bushes.